We offer in-office Lip and Tongue laser frenectomy releases to assist babies in nursing and optimal growth and development. A tongue tie is when a tight thin string of tissue (lingual frenum) under the tongue restricts the movement of the tongue. We are all born with a lingual frenum, it connects the tongue to the floor of the mouth. However, for some newborns if the frenum is too tight or tethered it will impact the movement of the tongue and possibly the ability for the infant to breastfeed due to a poor latch. A lip tie is commonly seen in babies that also have a tongue tie. 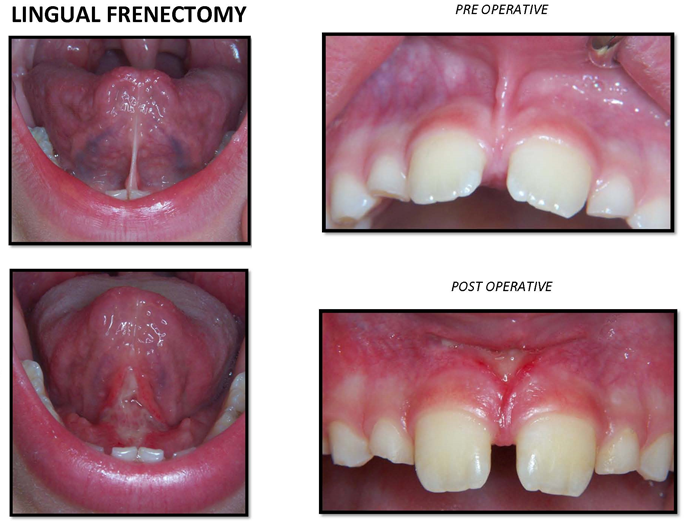 It occurs when the tissue attachment between the upper lip and upper gum (labial frenum) is too tight. This can also hinder nursing since the baby cannot flange around the breast to create a proper seal. During our examination, we evaluate the infant’s function. Not all ties cause problems and require correction. Therefore, each patient with a lip and tongue tie are evaluated to see how the restriction affects mobility and function. 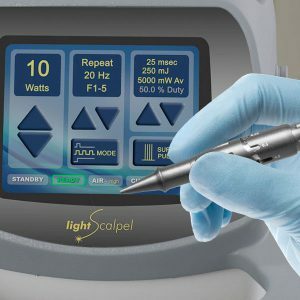 If release or revision of the tie is indicated, the LightScalpel laser is used for a quick and safe treatment. Advantages of using the laser for infants include minimal discomfort, minimal bleeding and faster healing. For best results, lip and tongue exercises and stretches must be done after treatment and breastfeeding support with a lactation consultant is highly recommended. We also encourage bodywork 1-2 weeks pre and post release. 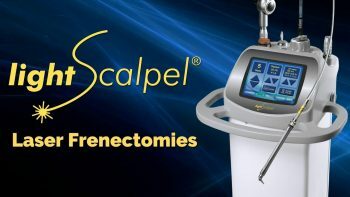 We perform our frenectomies with a state of the art CO2 Lightscalpel laser https://www.lightscalpel.com/patient-laser-surgery/ . Dr. Hendricks has also been trained by Dr. Zaghi at the Breathe Institiute in Los Angeles to release tethered oral tissues using scissors and suture technique https://www.thebreatheinstitute.com/tonguetierelease.html . When doing all of our release procedures we use with a multidisciplinary protocol to achieve success. This integrates myofunctional therapy both before and after the release. This allows for optimal results and lessens the possibility of tissue reattachment and scaring. The tongue is an integral organ in our body that has the ability to shape orofacial structures and musculature. We want to optimize growth, development and function of children from birth onwards. Our goal for each of our patients is optimal growth and development. There is a direct connection between breathing, sleeping, tongue and lip function. Form always follows function. We evaluate each patient to see if the tongue restriction is inhibiting optimal function. Our tongue should comfortably rest in the roof of our mouth at rest and when we swallow. In this position, the tongue is creating pressure on the upper jaw to grow and develop properly. We evaluate each patient and start with myofunctional exercises to strengthen the tongue and establish nasal breathing. As we re-train and strengthen the tongue we will re-evaluate to see if tongue mobility has been improved or a release is necessary.